A European-born man committed suicide at the Great Mosque at Mecca, in the proximity of the Kaaba, Islam’s holiest shrine. The Frenchman threw himself off the roof of the Grand Mosque in Mecca, Saudi Arabia, according to Saudi and French officials on Saturday. "A foreigner threw himself from the roof of the Grand Mosque in Mecca" to the courtyard below, "resulting in his instant death," Saudi police told the Saudi Press Agency (SPA). The French foreign ministry confirmed the victim's nationality to AFP, but did not provide further details. The body was transported to a hospital, with an investigation underway "to determine the victim's identity, what led to the act and how he was able to commit it despite the existence of a metal fence," SPA reported. This is not the first suicide at Islam's holiest site, which, like most other religions, prohibits self-killing. In 2011, a man committed suicide in an exact same way, documented in a YouTube video. Last year, a Saudi man tried to set himself on fire at the holy site, in front of the Kaaba, but was stopped by security. 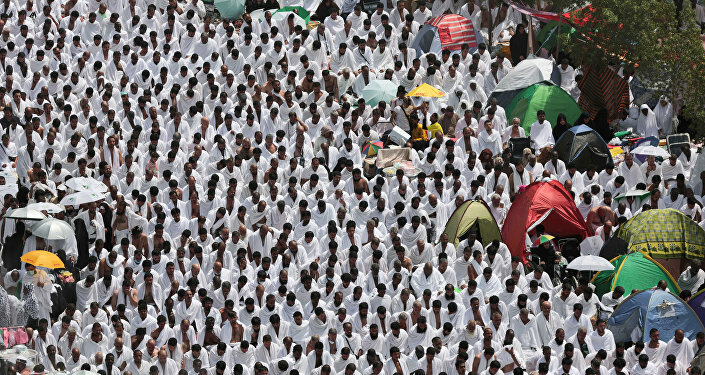 Every year, millions of Muslims from across the world conduct the religious pilgrimage — a hadj — to Mecca, as well as to Medina, Islam's second-holiest site, in western Saudi Arabia.